The University identifies land it would like to buy. Preliminary research is done to determine the owner's name and address, appraised value, parcel identification number, parcel statistics including improvements and measurements, and other relevant public information. The property is placed on a list that is submitted to the Board of Regents for approval to pursue acquisition. Upon approval, a letter is sent to the owner to determine if the owner is interested in selling and whether he/she will negotiate the sale or if they will have someone act as their agent. NOTE: IF SOMEONE OTHER THAN THE OWNER IS GOING TO NEGOTIATE THE SALE, THE UNIVERSITY MUST HAVE WRITTEN NOTICE SIGNED BY THE OWNER DESIGNATING THAT PERSON AS THEIR AGENT. The University then has a boundary map and a 5 year title of the property search prepared, and turns this information over to the Department of Environmental Protection (DEP). DEP selects an appraiser. If the property is expected to sell for more than $1,000,000, then two appraisers are selected. The appraiser(s) review various records and inspect the property to form an opinion regarding the market value of the property for it highest and best use. The completed appraisals are sent to DEP. Per Florida Statutes, these appraisals are confidential until closing. DEP reviews the appraisals and assures they are complete and correctly performed. The appraisals are sent to the University and a representative of FSU meets with the owner/agent to negotiate the sale. The maximum price the state can pay is limited to the DEP appraisal value. In cases where two appraisals are obtained by DEP, the maximum price is the highest of the two appraisals. Upon agreement on the selling price, a contract is prepared by DEP and is executed by the seller. The contract is then submitted to the Florida Cabinet sitting as the Board of Trustees of the Internal Improvement Trust Fund. After approval by the Cabinet, DEP executes the contract for the State of Florida. Once the contract is executed by both parties, the final title search is accomplished, a phase I environmental audit of the property is performed, and miscellaneous documentation is provided by the owner. When all is in order, the University obtains a check from the State Comptroller for the net amount due the owner, and DEP conducts the closing. 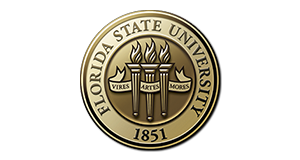 Subsequent to the closing, DEP issues a lease for the use of the newly acquired land to the Florida State University Board of Trustees. The above process typically requires six to nine months to accomplish.